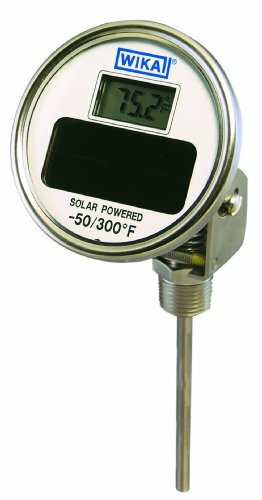 WIKA's solar-powered digital thermometers is ideal for power utilities, petrochemical, and quality control applications, where exact readings are required. TI.82 offers easy-to-read digital temperature in single-degree increments in either Fahrenheit or Celsius scales. TI.82 has a center back mount, hermetically-sealed case. Stem diameter: 0.250". Window: glass, acrylic. If you have any questions about this product by WIKA, contact us by completing and submitting the form below. If you are looking for a specif part number, please include it with your message.